Make Sure It's Proven Tough. On the manufacturing line or the fire line, at a crash site or a construction site, you rely on a two-way radio that operates continuously â€“ that won't stop when it's dropped, won't break when it's shaken, or won't fail when it's shocked by static electricity. Whether you're in public safety or private enterprise, radio batteries that can't handle the rigors of the real world aren't a bargain. Because when a radio battery dies and your radio stops, you can't do your job. 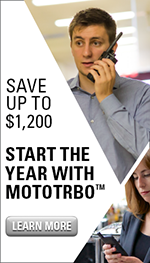 Motorola Radios And Batteries Perform Optimally Together. By Design. Unlike aftermarket battery brands, Motorola batteries are designed and developed as an integral component of their two-way radios. No other aftermarket battery manufacturer can offer that certainty and compatibility with Motorola radios. Motorola engineers, manufactures and tests to stringent specifications to make sure their batteries withstand the most unforgiving environments. So you can be confident our radio batteries perform reliably, when you need them most. Motorola also offers "intrinsically safe" (IS) batteries that are approved for use with the Motorola intrinsically safe approved radio unit. We can only ensure the continued certification and compliance of our radios with the use of Motorola approved intrinsically safe batteries. Along with their standard Motorola radio batteries, they also offer our exclusive IMPRES "smart energy" system. This exclusive battery technology provides adaptive reconditioning and end-of-life display to maximize your talk-time and battery cycle life â€“ all automatically. You can safely leave batteries on the IMPRES charger without damaging them and keep your batteries fully charged. So you can be confident they are always ready and your radio is ready to work, right when you need it. Motorola IMPRES batteries and chargers also enable the implementation of our industry-exclusive IMPRES Battery Fleet Management System. A software application that enables unprecedented data collection and analysis allowing you to better manage the health and status of your IMPRES batteries. What's The Anatomy Of A Tough Battery? Motorola only uses premium-grade cells so you get higher capacity, longer cycle life and a wider temperature range (from as low as -30Â°C to as high as 60Â°C). Motorola cells are so uniform and well made; you can count on the same high energy, high number of charge cycles and lasting durability in virtually every battery. Unlike the thin wires used for some internal battery connections in the brands we tested, Motorola uses circuit boards and other more reliable means to make electrical connections between components in our batteries. So, when the radio gets dropped, Motorola batteries can tolerate higher levels of impact force. Motorola chooses shock-absorbing materials to protect the cell pack and circuitry. By dampening shock and vibration inside the battery, they reduce the negative effects of sudden impact. Other brands Motorola tested eliminated padding, which can mean their batteries are more easily damaged during a drop. For Motorola's battery housings, they specify only polycarbonate plastic for optimal protection and performance. Motorola's housings are strong, robust and designed to "bend and flex" when dropped. Every component of Motorola's batteries is built tough from the inside out. They start with premium cells, add shock absorbing spacers and materials and complete the design with a durable polycarbonate plastic housing. Even the belt clip is designed to absorb some impact when a battery is dropped. Finally, Motorola completes their battery design with state-of-the-art computer-controlled assembly equipment. All of this is done to help ensure you have a battery that performs in even the toughest conditions. Motorola Proved How Tough They Were Five Years Ago And Are Proving It Again. Motorola batteries were put through the paces and lab-tested against competitive batteries. Can other manufacturers match the standards they achieved? Thirty samples of each battery type were randomly selected and scrutinized: Motorola, Honeywell, Power Products and Multiplier. 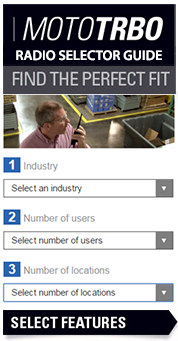 All are compatible with Motorola's most popular two-way radios. Three critical tests were conducted: Drop, Vibration and Electrostatic Discharge. These replicate real-world situations that occur most often during typical battery use. The result? Once again, Motorola batteries surpassed the others in durability, performance and surviving electrostatic discharge. Hazards That Harm Other Batteries Won't Affect Motorola's. Knocks. Drops. Shocks. Vibration. Static. If your radio gets banged on a ride, rattled by heavy equipment or shocked by static electricity, Motorola's batteries will stay true and stand tough. These rigorous lab tests prove that Motorola radio batteries perform robustly and reliably, despite the toughest conditions. What's more, Motorola stands behind every battery they build. Motorola Won't Compromise On Performance. Why Would You? Communication breakdowns are frustrating and unproductive. And downtime can be dangerous when information doesn't get through. Help protect the safety of your workforce and the success of your projects by using high-quality Motorola batteries. Protect your system investment with long-lasting, rigor-tested Motorola batteries designed specifically for our radios and engineered precisely to our standards. Whether you're a police officer on the street or a supervisor on the factory floor, count on Motorola's 80 years of engineering expertise to keep communications going strong. Your responsibilities are tough enoughâ€¦make sure your radio battery is too. Motorola's state-of-the-art IMPRES technology allows communication between the battery and the charger. The result â€“ a radio system that's charged and ready to go whenever you need it. If you buy batteries on the initial purchase price alone, you could end up spending more in the long run. While other brands may look the same, their quality and performance vary dramatically. The technology inside makes a big difference in how they impact the performance of your radio and how often they have to be charged. If you're not using IMPRES™, your batteries may need constant recharging, stop working when your people need them most or even damage your radio. And that's a high price to pay on what you've invested in your valuable two-way radio system. Are you overbuying batteries? Many administrators do because they're uncertain if their batteries will work or unsure when they need to be switched out. They replace at predetermined intervals or give workers spare batteries just in case. IMPRES enables you to reduce the number of spare batteries you buy and increase the time before you need replacement batteries. Only IMPRES batteries can be charged 150 additional times compared to a standard battery â€“ a 43% increase in charge cycles. If you charge radios two to three times a week, you'll likely get more than an extra year out of every IMPRES battery. Investing in IMPRES is designed to save you money because you buy fewer batteries over the life of the radio and have fewer disruptions to operations. It's critical for your workers to know that a fully-charged battery will last the entire shift. How do you know which batteries to replace if you don't have time to put them through an analyzer? IMPRES Shows You Exactly How Much Capacity Is Left, So You Can Squeeze Every Bit Of Energy Out Of IMPRES Batteries. With IMPRES, you can know battery capacity instantly, because if your radio or charger has a display, it shows you the exact capacity available. You can be more confident your radio battery is ready to go. And with the unique IMPRES Battery Reader and IMPRES Battery Fleet Management systems, you can more efficiently manage your batteries with real world data not available with other manufacturers' batteries. These easy-to-use software applications let you know if there is enough capacity for a full shift, alert you to low capacity batteries so you can remove them, prevent downtime and eliminate throwing batteries out prematurely. Whether your people are pursuing a suspect or patrolling a power plant, you can't shortchange their safety. Their radio is their lifeline and if the battery fails, so do they. Motorola IMPRES batteries help keep your workforce safer and your costs in check. Only Motorola IMPRES batteries are backed by a 4-year warranty, twice as long as most leading competitive batteries. * When you invest in safety and productivity with Motorola and with IMPRES, it does pay off. * Motorola's IMPRES battery warranty protects against any defects in workmanship for four years.